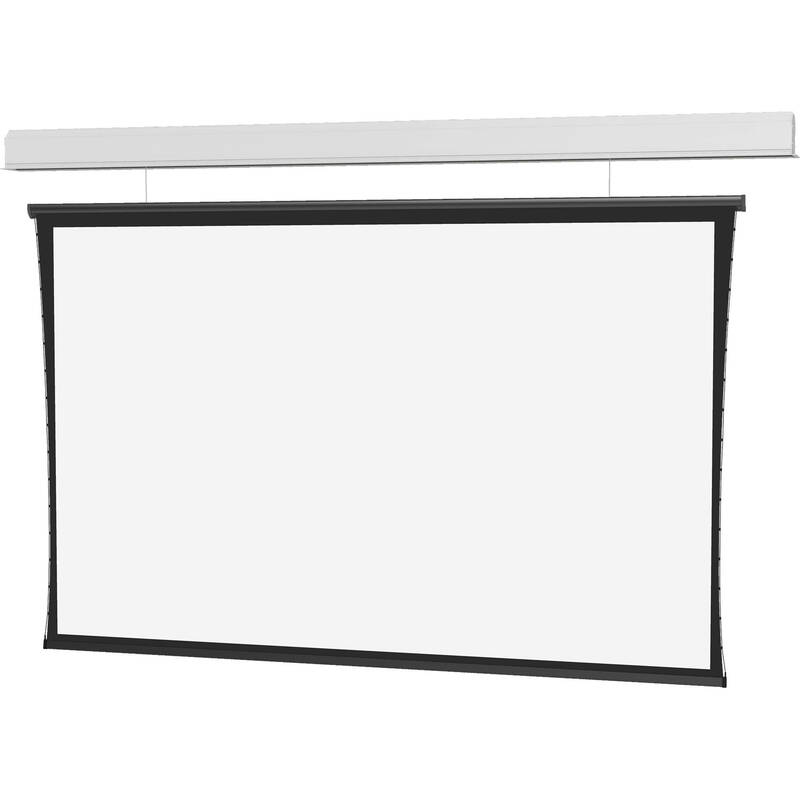 Designed for large venues, the 120V 29267G Wireline Advantage 65 x 116" Motorized Projection Screen uses thin steel cables instead of black drop to lower the screen to an appropriate viewing height. Once the screen is installed, the screen's trim conceals the rough opening in your ceiling, eliminating the need to complete additional trim work. Sliding installation brackets help make it easy to attach the screen housing to the structure above the drop ceiling. Case does not have trim flange, making it suitable for non-ceiling-recessed applications.